The huge decline in solar power tariffs in India has caught the eye of its neighbor Bangladesh, which now hopes to import electricity generated by Indian solar power projects. A senior official of the Bangladesh government told Indian media outlets that his country is looking to buy 2 gigawatts of solar power from Indian projects. Bangladesh already buys a substantial volume of power from India. Almost all, if not all, power that India exports to Bangladesh is sourced from thermal power plants. We have already covered in an earlier analysis that several of the new solar power projects in India are cheaper than existing thermal power plants. Bangladesh is also looking to develop large-scale renewable energy projects. In 2015 the government announced plans to have 3,168 megawatts of renewable energy capacity installed in the country by 2021. The main focus of the the 3 GW capacity addition will be solar and wind energy technologies. 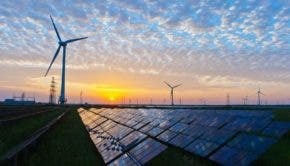 The Government plans to add 1,740 MW of solar power and 1,370 MW of wind energy capacity by 2021, with the remaining balance to be largely made up of biomass-based power generation technologies. Less than 10 MW each will be added through biogas and mini-hydro power projects. The Bangladeshi Power Division has also published a timeline for renewable energy capacity addition with yearly targets. Of the total capacity addition envisaged, a third will be added through state-owned companies, while the balance will be installed by private sector companies. With the sharp decline in solar power bids in certain states of India, other states have decided to procure power from projects located in those states. After tariff bids collapsed sharply for a solar power park in the state of Rajasthan, the government of Uttar Pradesh approached the Solar Energy Corporation of India to have a power purchase agreement with upcoming solar projects in Rajasthan. Consequently, 750 megawatts (AC) of capacity was auctioned in Rajasthan. Power generated from this capacity will be supplied to Uttar Pradesh. The sliding tariff rates have also attracted several heavy power consumers. The Delhi Metro Rail Corporation (DMRC), which currently pays two to three times the lowest solar tariff, has signed a power purchase agreement with one of the cheapest solar power projects in India. DMRC will source power from the Rewa solar power park located more than 800 kilometers away in an attempt to reduce its procurement cost. A similar approach has also been implemented in the wind energy auctions by SECI. As per tender clauses, developers are free to set up wind energy projects in any part of India and interested power distribution utilities would then be assigned a certain quantum of the auctioned capacity. As a result, power distribution companies located in areas with little to no renewable energy resource are able to procure wind power. Apart from India, which has been its long-standing partner in the power sector, Bangladesh is also looking to increased power cooperation with Bhutan and Nepal. Bangladesh signed an agreement with Nepal to invest in hydro power projects in the Himalayan country. A share of power generated from those power plants would be sent to Bangladesh. India has offered to spare transmission lines for the flow of electricity from Nepal to Bangladesh. Similar agreements are in the works with Bhutan as well.